Over a year ago, before I was married or had even thought the word ‘baby’, I went to a House & Garden sample sale in Vogue House. From the fabric off-cuts, quirky painted light shades and beautiful coffee table books I picked out a roll of wallpaper. 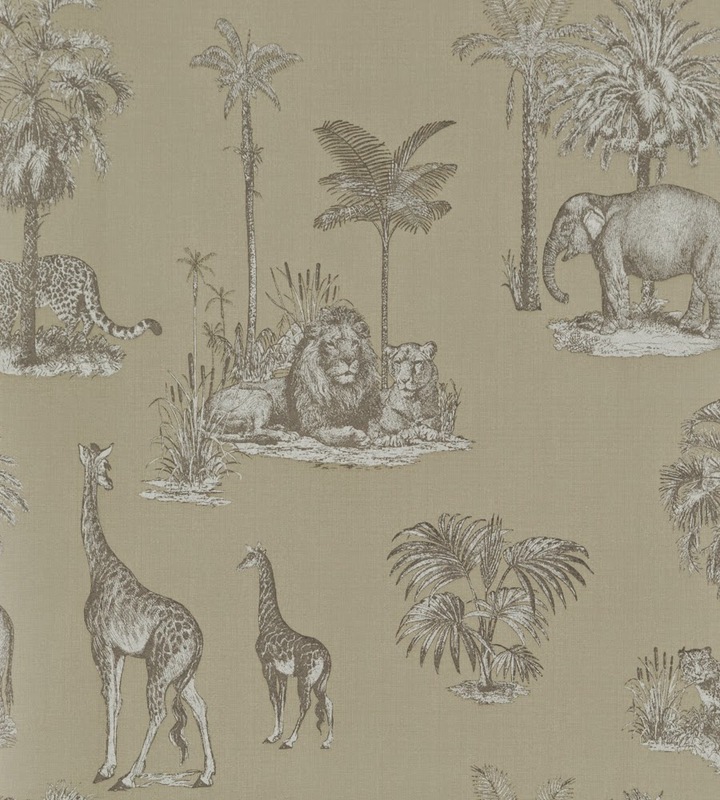 Pale green with white safari animal sketches, I thought *maybe*, just maybe, one day it would make the perfect wallpaper for a feature wall in a nursery. One day is coming around a lot quicker than I thought it might, and after a lot of wallpaper scraping (die woodchip wallpaper, die) and replastering (phase one of ‘my spare room project!’) I brought the wallpaper home from my Glamour work cupboard and Adam and I unrolled it in the garden and made the measurements in the spare room. Alas, I’m around 3 metres short (allowing for print overlap) and have absolutely no idea where the beautiful paper is from to get another roll. I’ll keep y’all updated with any developments*. *Bet you’re on the edge of your seats. Thrilling wallpaper mysteries like this don’t come around often. Previous Is it safe to use a bouncy castle while pregnant? And other things I’ve asked Google recently.